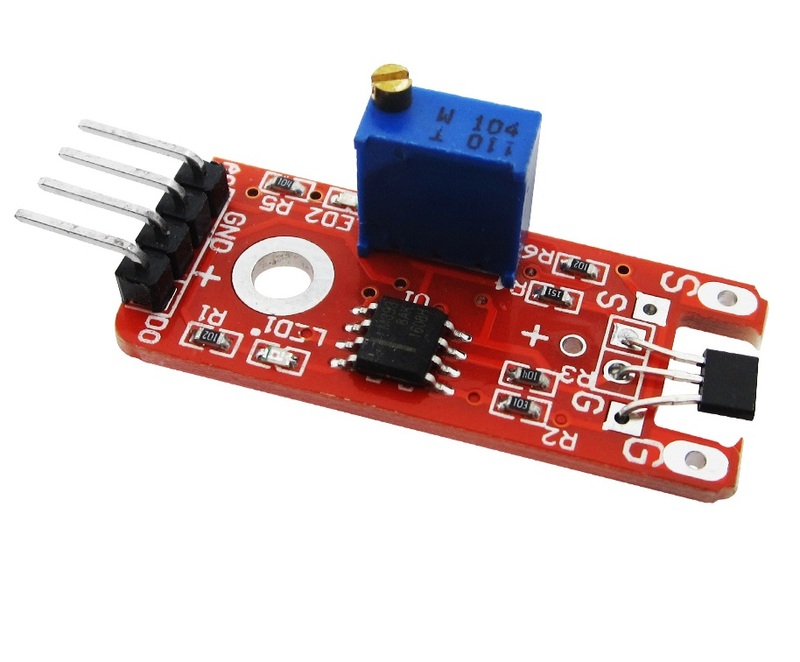 This module has a A3144EU type high temperature hall-effect switch and a resistor and LED. The module will work as a switch when it is in the presence of a magnetic field. This module uses a hall effect sensor to detect magnetic fields. It also has a comparator to give a digital output as well as an analogue output and a potentiometer to adjust the level for the digital output.